Legality | Steven J. Barela, LL.M., Ph.D. 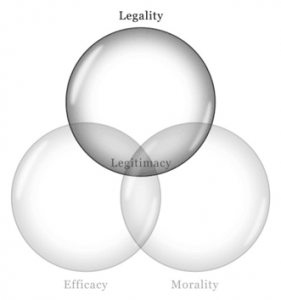 If there is a point of agreement among the scholars of legitimacy, it is on legality; that is, legality is always considered to be one of legitimacy’s central components. Thus, the predominant scholars of legitimacy point to legality as a starting point. To do so in the context of counterterrorism it is important to take note of one distinctive feature of 9/11 that must shape the way we think about and analyze the response to them: these were cross-border attacks. Non-state actors stepped across international boundaries to conduct public and politically motivated violence against civilians. As a result, when citizens of the victim country, and even more critically the official members of the government itself, attempt to understand the rights and duties related to its response inevitably reaching outside of its domestic borders, international law is the natural, not to mention legally fitting, framework. If there is a point of agreement among the scholars of legitimacy, it is on legality; that is, legality is always considered to be one of legitimacy’s central components. Of note, there has been a dramatic increase in global cooperation throughout the twentieth century—between international organizations and their state missions of diplomats, foreign officers, international civil servants, intelligence officers, military personnel, police investigators, judges, legislators, and financial regulators—all governed by international law. These rules have mushroomed following the conclusion of each world war and this dramatic growth is arguably the most significant change the international structure has experienced since the inception of the state-based system ushered in with the Peace of Westphalia in 1648. The contention here is that this surge in international regulation has had a bearing on the shape and content of the domestic political order. To suggest that this immense growth has had absolutely no effect on the domestic legal order or the mental framework for how citizens judge the obligations of their own government in an information age is to deny the shifting terrain. It is not a question of whether any adjustment has occurred, but rather the pertinent question is: How much change has actually come about? As it is posited that growing portions of civil society turn to international law to help understand and judge the legitimacy of their government’s counterterrorism policies reaching across international borders, this discipline undergirds our book with nearly all of its contributors credentialed or deeply grounded within it. To lay this foundation of formal validity, one must begin with the strength behind the logic of legal positivism and lay out a jurisprudential view of the applicable law. In consequence this section analyzes the applicable legal treaties, customary law as evidenced by state practice, general principles of law, and opinio juris in order to peer through the lens of legality. 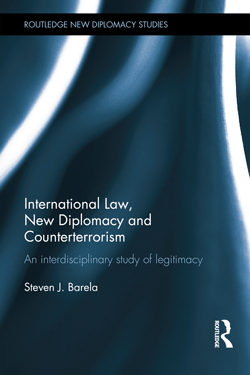 As it is posited that growing portions of civil society turn to international law to help understand and judge the legitimacy of their government’s counterterrorism policies reaching across international borders, this discipline undergirds our book with nearly all of its contributors credentialed or deeply grounded within it. There are four primary questions that are raised in international law when it comes to analyzing the lethal use of UCAVs for counterterrorism operations across borders, and each is explored in its own chapter. Those questions are: Is this use of force in the territory of another state justified? Who is a legal target in an armed conflict between a state and groups of individuals? Are there geographical limits to the application of humanitarian law—that is the laws of war? What is the proper application of human rights law when such deadly force is exercised? Christian Tams and James Devaney launch the investigations of this book with their chapter of preliminary relevance. Although the ban on the use of force across borders has been described as the “cornerstone” of the contemporary international system, the precise scope of the legal rules governing this prohibition is by no means beyond debate. The UN Charter lays down the legal framework, but the contours of the current interpretation of this shifting regime must be explored to understand where the law stands today when it comes to violent individuals and/or groups. As the use of armed drones has become a publicly recognized reality, this chapter argues that over the last 25 years the legal rules have been readjusted through interpretation to permit forcible counterterrorism under more lenient conditions. Nevertheless, the risks posed by current practice might indeed compel further readjustment to a legal regime undergoing stress as this act of force becomes more common. State Practice as an Agent of Change? What remains of strict rules on attribution? What remains of the threshold requirement? The scope of the right: boundless self-defense? Necessity and proportionality; the defensive character of self-defense? 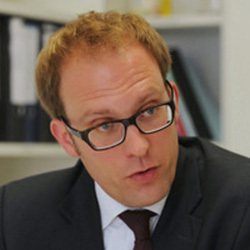 Christian J. Tams is Professor of International Law at the University of Glasgow. 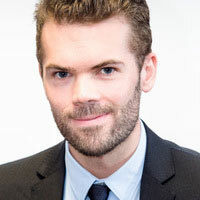 He is a member of the ILA Committee on the Use of Force and sits on the scientific advisory board of the European Journal of International Law. In addition to his academic work, he has advised states in proceedings before the International Court of Justice and the International Tribunal for the Law of the Sea. James Gerard Devaney is University Teacher at the University of Glasgow. He graduated from the University of Strathclyde LL.B (Hons) 2009 and the University of Glasgow LL.M. (distinction) 2010. 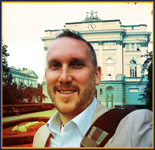 He holds a Ph.D. in international law from the European University Institute in Florence, Italy. His doctoral research ‘Fact-Finding before the International Court of Justice’ (forthcoming, CUP, 2016) focused on the use of evidence before international courts and tribunals including the adjudicative bodies of the WTO and inter-State arbitration as well as the ICJ. The following chapter is by Patrycja Grzebyk. 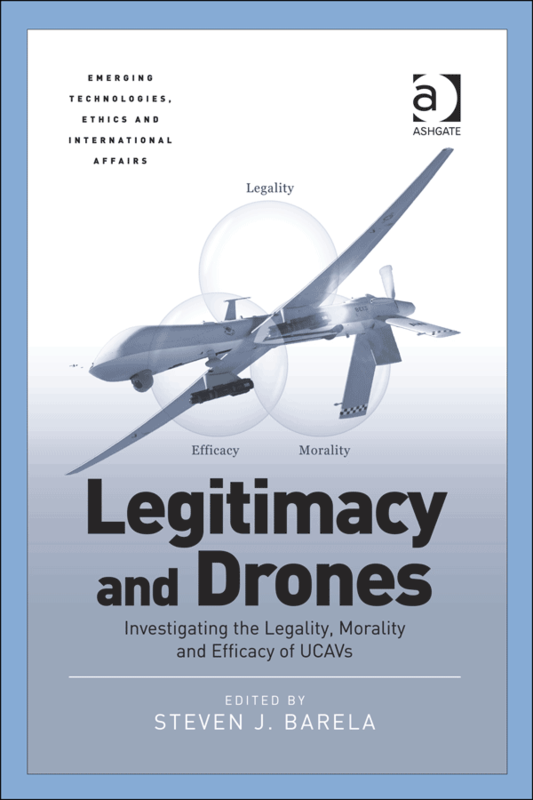 While combat drones are weapons and not unique from a legal point of view, there continue to be particular difficulties in identifying legal targets in these asymmetrical armed conflicts and this chapter addresses those challenges. It delves into the problems related to the principle of distinction between those engaging in hostilities (members of armed groups with a continuous combat function) and civilians who do not directly participate. Additionally, she discusses another related point of international humanitarian law concerning the elimination vs the neutralization of legitimate targets— namely the obligation to capture if possible. Means of Warfare of Special Concern or Just the Modern Crossbow? Who Can Be Targeted in Non-International Armed Conflicts? How to Eliminate a Legitimate Target? Patrycja Grzebyk is an assistant professor at the University of Warsaw and holds a doctoral degree in humanities. She also holds degrees in law (MA) and international relations (MA). She is the author of the monograph Criminal Responsibility for the Crime of Aggression (Routledge 2013), and the Polish version of this book was awarded the Manfred Lachs Prize. 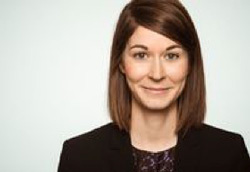 In this chapter Katja Schöberl discusses the fact that the use of armed drones in operations labeled as counterterrorism has raised important questions about where one can properly apply the rules of international humanitarian law. This has become of particular consequence as UCAVs have made it easier for armed conflict to be conducted well beyond the traditional combat zone, and perhaps without any territorial limit. This contribution gives an overview of the debate and subsequently analyzes the geographical scope of international and non-international armed conflicts both within and outside the territory of belligerent states. Ultimately, she looks into the possible extraterritorial application of the law of non-international armed conflicts. Katja Schöberl is a legal and dissemination advisor for the German Red Cross, Berlin. She previously worked for the ICRC, the Geneva Academy, and the Institute for International Law of Peace and Armed Conflict, Bochum. 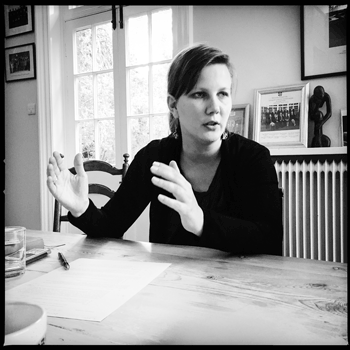 She is currently working on her PhD thesis on “The Geographical Scope of Application of International Humanitarian Law” and has published on the subject in English and German. To conclude this section, Gloria Gaggioli addresses the fact that armed drones are being used—and are likely to be increasingly used—in situations in which the rules on the conduct of hostilities provided for in international humanitarian law do not apply. This can occur when force is used outside of armed conflict situations, but also, in certain cases, in the context of an ongoing armed conflict. 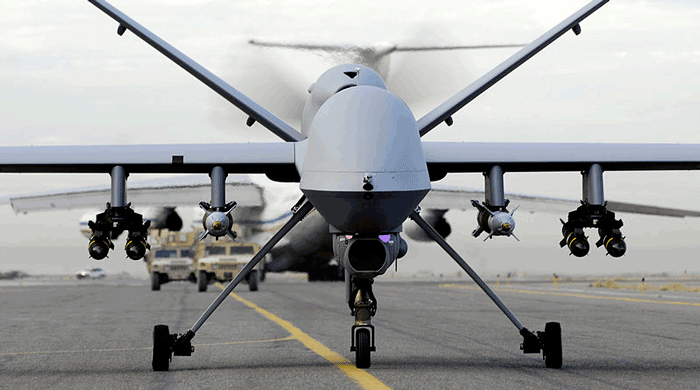 This chapter discusses what the precise situation would be when human rights law is applicable, and then explores whether lethal force with drones can actually be used within its requirements of necessity, proportionality, and precautionary measures. Overall, real doubts are raised as to whether UCAVs can indeed operate within this framework, especially considering the fact that the premeditated aim is to kill suspected offenders with no gradual use of force envisaged. When Does the Human Rights Question Arise? Respecting the Principles of Necessity, Proportionality, and Precautions? Combat drones for law enforcement? Can Domestic Frameworks Regulating Armed Drones and Investigative Measures Render them Appropriate Means for Law Enforcement? What Are the Other Legal and Policy Issues Raised by Armed Drones? 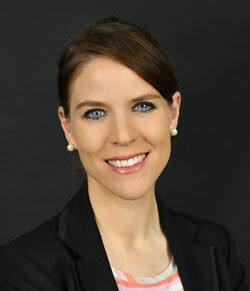 Gloria Gaggioli is Assistant Professor and Grant Holder of Excellence at the University of Geneva. She holds a PhD in international law, an LLM and MA degree. She has notably published a monograph on the right to life in armed conflicts, L’influence mutuelle entre les droits de l’homme et le droit international humanitaire à la lumière du droit à la vie (Editions A. Pedone 2013) and edited a book on the interplay between international humanitarian law and human rights law with Professor Robert Kolb, Research Handbook on Human Rights and Humanitarian Law (Edward Elgar 2013). She was formerly legal adviser at the International Committee of the Red Cross (Geneva). Max Weber explained in The Theory of Social and Economic Organization, Henderson AM and Parsons T (trans) (The Free Press 1947): “[t]oday the most usual basis of legitimacy is the belief in legality, the readiness to conform with rules which are formally correct and have been imposed by accepted procedure” at 131; David Beetham (n 29) expounded: “[p]ower can be said to be legitimate in the first instance if it is acquired and exercised in accordance with established rules” at 16; And in the context of political violence, Cook (n 19) suggested: “legitimacy is a controversial and complex notion, involving not only legal and political matters”, while Crenshaw (n 19) explained: “[a]ctions against the terrorists must be scrupulously legal” at 33. For international lawyers who comprehend this legal framework as being a valuable source of understanding for common citizens see Antonio Cassese, Terrorism, Politics and Law (Polity Press 1989) at viii: “[a]n international lawyer should no longer write for rulers alone (who may or may not heed his words); he ought to write mainly for ordinary citizens: he should offer them parameters by which to judge international affairs, and analytical mechanisms for examining the intricacies of the world community”; Philippe Sands, Lawless World (Viking 2005) at 7: “[i]nternational rules are now frequently seen as providing an independent benchmark against which to assess the justification of behavior—and in particular the behavior of states—which is politically or morally contentious”; see also generally Brunnée and Toope, Legitimacy and Legality in International Law (n 19).